The 2019 line up of SUVs and crossovers from Mazda makes us shake our heads in awe at the highly conservative company that breaks the conventional business models of the auto industry. 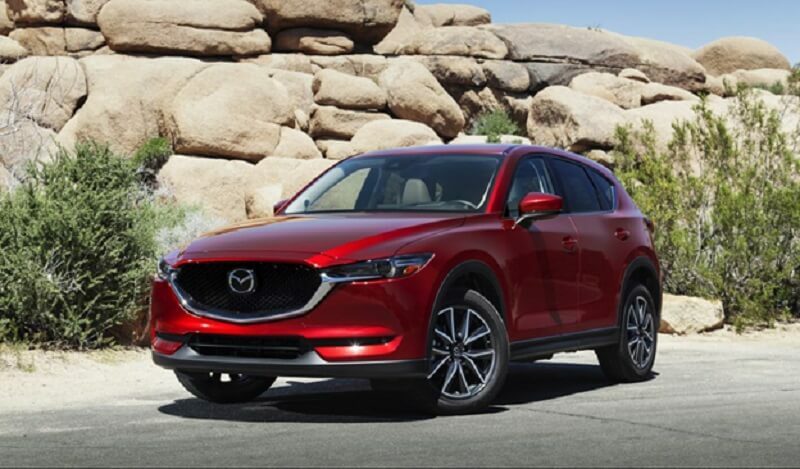 Consisting only of the upgraded and up-designed models of the subcompact CX-3 crossover, the fuel-efficient CX-5 and the 7-seater CX-9, Mazda swims across the tide and maintains their limited number of vehicles offered carefully. Gilbert Mazda is our favorite place to checkout the widest range of Mazda vehicles to get a quick onceover at the best crossovers and SUVs of 2019 from Mazda. The CX-3 subcompact is a 5-passenger crossover that comes with an FWD drivetrain but can be upgraded using the available AWD system which features Mazda’s I-ACTIV safety technology that results in a balanced, comfortable and safe ride. The CX-3 is available in three trim levels, the Sport, Touring and Grand Touring all fitted with a 2.0L DOHC 16-Valve 4-cylinder engine that gives you 148 hp and 146 lb-ft of torque. A SKYACTIV-Drive 6-speed auto transmission that encompasses the best features of all available automatic transmission types provides superb control and smooth shifting. The awesome EPA estimated mileage of 29/34 (City/Hwy) mpg can be attributed to this and the G-Vectoring control with SKYACTIV Vehicle Dynamics present on the CX-3. The 5-seater CX-5 comes in five trim levels such as the Sport, Touring, Grand Touring, Grand Touring Reserve and an all stylish and luxurious Signature trim that features LED lights front and rear, LED fog lights, LED grille accent lights, adaptive front lighting, high beam control, daytime running lights, combination tail lights, 19-inch aluminum alloy wheels with dark-silver finish and what not. The CX-5’s are fitted with a 250 hp, 2.5L DOHC 16-Valve VVT Dynamic Pressure Turbo engine over an FWD system that’s controlled through a SKYACTIV 6-speed AT. You also have the standard I-ACTIV Predictive AWD system for better performance on the upper two trims which come with a 2.5T engine. With the phenomenal SKYACTIV technology, this family car has proven itself to be quite a fuel-economic SUV with EPA estimated mileage of up to 31mpg on the Highways. The dynamic staff serving the Gilbert Mazda dealership were keen to show us the CX-9 that serves as exemplifier of Mazda’s design capability and performance efficiency. It’s a 7-passenger family friendly SUV because it comes with an additional 3rd row seating which can be used to take 2 extra passengers or just dump your shopping bags or fold them down if you wish to make space for extra luggage. The second-row slides forward to provide easy access to the last row and this too can be split-folded down for some serious and multi-dimensional cargo carrying capability. The CX-9’s come with a 250 hp, 2.5T DOHC 16-Valve VVT Dynamic Pressure Turbo engine over an FWD system that’s controlled through a SKYACTIV 6-speed AT. You also have the availability of the I-ACTIV AWD system for better performance that’s standard on the Signature trim.